It’s encouraging that the Fund is reporting that its processing benchmark, at least for some cases, is within a reasonable twenty business days. Let’s recognize, however, that this is not the case for many beneficiaries. Some of us are fortunate to be located in New York or Geneva where we can walk into the Fund’s offices and eventually receive attention. But this is not the reality for many participants and beneficiaries, and many retirees, and some of the most vulnerable in terms of "other cases", including widows and survivors, are still waiting in a “non actionable” and unreported limbo of suffering (See open letter to the CEO dated 21 November 2016 on the blog). Information provided by the Fund on the status of the backlog has long been contested by our staff federations, partly because reporting is consistently on "actionable" cases, i.e., cases for which all documentation is available. There's been no reporting on what the Fund routinely describes in its iSeek messages as "other cases that are pending receipt of additional information from organizations or separated staff members, as well as a number of deferred pensions (through choice), special cases (such as survivor benefits, child benefits) and recalculation cases." The leaked OIOS audit of the backlog in pension payments (December 2016) confirmed many doubts about the CEO's narrative on both the causes and the status of the backlog. The finalized report is now available to Member States and should be available to the public shortly. According to that report, the Fund Secretariat established task forces and obtained $3.2 million in additional resources in July 2016 to address the delays in processing of pension benefits. Contrary to the persistent public relations narrative from the CEO that the backlog was caused by unforeseen increases in beneficiaries, by IT issues with Umoja, and by organizations failing to transmit necessary documentation, the evidence from the OIOS audit report attributes the backlog to several managerial failures regarding: i) filling the Fund’s long vacant posts; developing key performance indicators for all its benefit processing activities; improving its client services and processing of pension entitlements; and establishing performance metrics to monitor and report on all types of outstanding cases. The key here is ‘all types of outstanding cases; not just “actionable” cases for which all documentation is available. But ALL cases ("other cases" as described by the Fund) including retirees, widows and orphans for which all documentation is not available. These cases are a humanitarian disaster which to this day goes unreported by the Fund. The Fund receives $20 million every two years to perform administrative tasks related to such cases and one wonders how these funds are actually being used. The OIOS audit report also notes that “the outstanding cases predominantly occurred in 2015” and “the Fund’s financial statements and operations performance reports showed that the total number of new pension benefit cases (i.e. separations) and number of beneficiaries did not increase from 2014 to 2015. Notes the report: “Further review of 3,568 cases indicated that it took on average 53 days from dispatch of documents by member organizations to inputting them in the system by the Record Management and Distribution Unit”. That’s a delay of almost three months of working days between receiving documentation and inputting in the system. Yet the Fund has insisted all along that it’s missing documentation that is largely responsible for pension processing delays. The UNJSPF staff are diligent and hardworking and we thank them for their efforts. But let’s recognize that any operation needs proper management if it’s to perform effectively and that's an issue that needs to be addressed sooner rather than later. Thank you for posting this article. Having worked in HR, for over 24 years, I have been aware that there are serious problems since I joined the UN in 1990. Over the years, I had numerous staff, who were away from the duty station, begging me to intervene to straighten out issues with the PF. Now that I have separated the reality became painfully clear. My first payment date went by without a whisper from the Fund. Luckily it only arrived one month late (after travelling to NY to investigate). For those who are not or were not as lucky as myself, I wanted to share what I learned about this. The non-payment or delayed payment of pension is the same as non or late payment of wages. It is illegal under the US host country laws for employers to remit payment more than seven days after the end of the month in which payment is due. I would recommend that those who did not receive their payments, make complaints to the NY Attorney General's office, make a report to the UN Security Chief and OIOS. Staff could also make a class action case and submit it to UNAT for compensation. 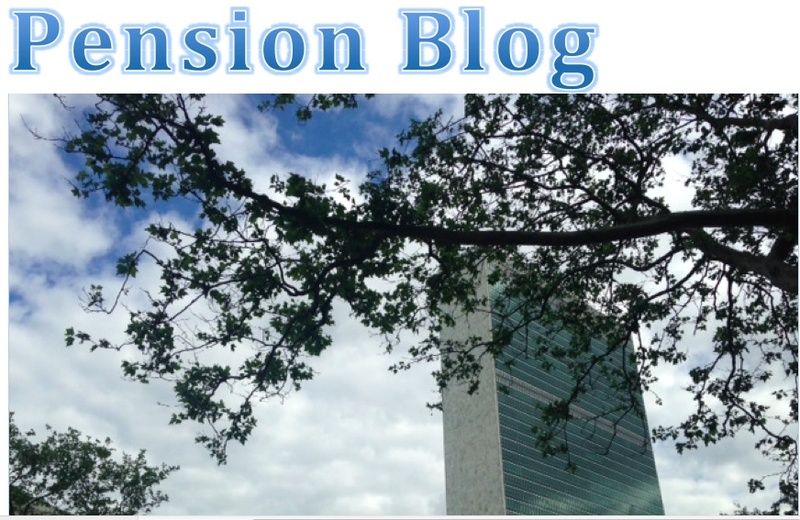 This all sounds extreme but the conduct of the UN and UNJSPF with regard to processing final payments and disbursing pension has been outrageous and illegal. While payment of pensions has been routinely delayed, the deductions from salaries have been made on time.